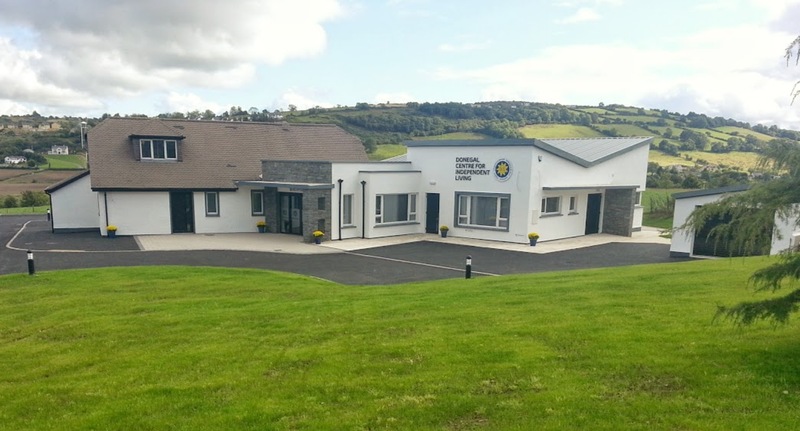 This year Annual General Meeting took place in DCIL premises, Ballymacool House, Ballymacool, Letterkenny on Thursday on 24th May 2018. 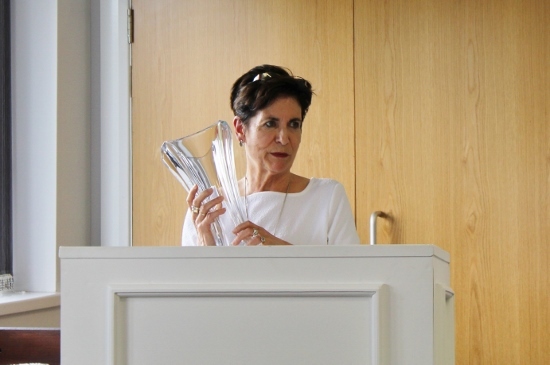 The meeting was chaired by our chairperson Roisin Kavanagh and presentations on all DCIL services, activities and developments were delivered by our DCIL Manager Rosaleen Bradley. Our accounts were presented by DCIL treasurer Martin McIntyre. Guest Speaker on the day was Damien Walsh, who presented to the audience an overview of Dublin CIL activities. 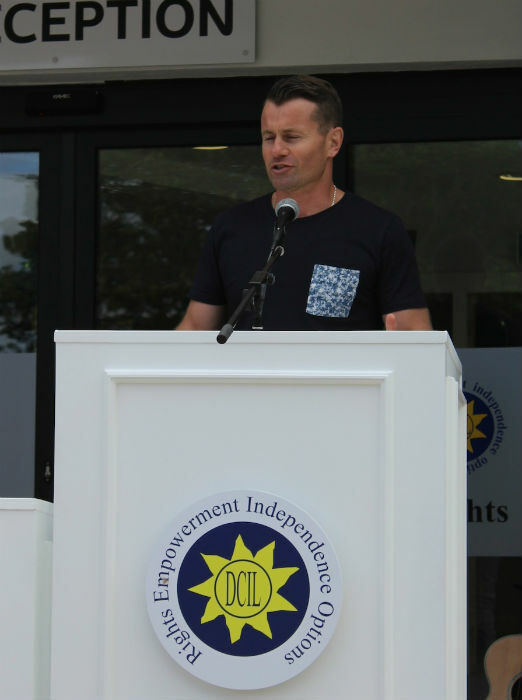 We would like to express our gratitude to all those in attendance and thanks the DCIL Board and Staff for their ongoing commitment and dedication throughout the year. 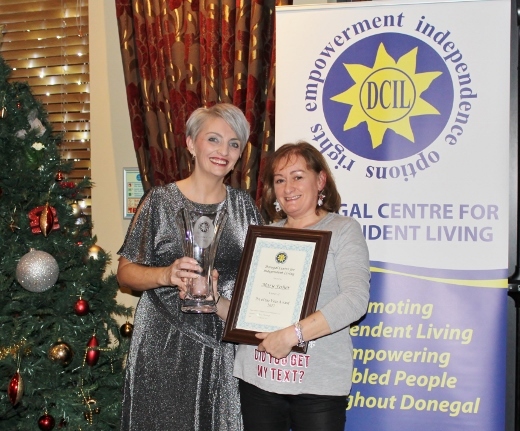 DCIL PA of The Year Award 2017 - Mary Fisher, being presented with the award by DCIL General Manager Rosaleen Bradley. 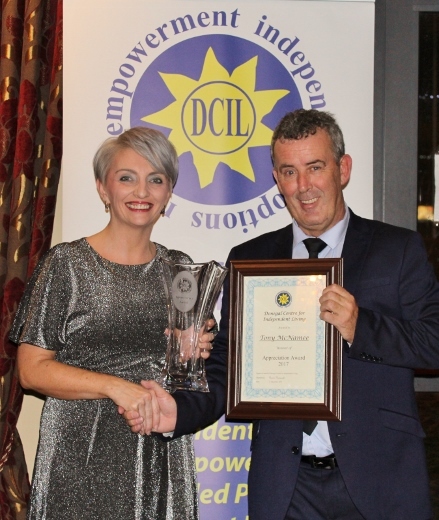 DCIL have had a party to honour the good work of Staff, Directors, Leaders and especially Personal Assistants throughout Donegal who everyday make such a difference. It was a great day with music and entertainment for all Leaders and PA's, their families and kids. Many thanks to all who came and we look forward to building on the momentum in year's to come. Saturday on 12th August, Ballymacool House, Ballymacool, Letterkenny. Rosaleen Bradley DCIL Manager receiving a "Special Recognitition Award" on behalf of the Donegal Centre for Independent Living for their unique and exceptionally presented premises in "Ballymacool House" by Mayor James Pat McDaid on behalf of the Letterkenny Tidy Towns Cleaner Community Awards. Pictured here are DCIL Members, Donal K O`Boyle, Christopher McBrearty, John Doherty and Emma Hunter (PA), along with other members of the Tidy Towns Committee. The ceremony took place in the Mount Errigal Hotel on Tuesday evening 22nd November 2016 and we are so delighted to have been honoured in this way. We are so very proud of our new premises and would like to praise the good work of Kevin and Eric our Caretakers who take great pride every day in it is upkeep. 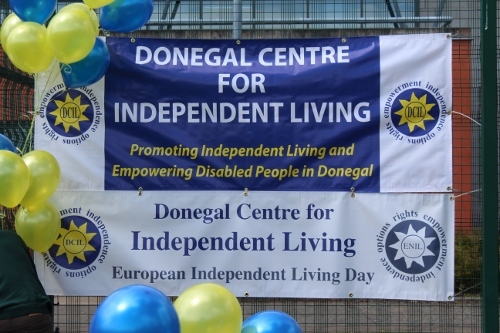 We are delighted to announce that Donegal Centre for Independent Living has been selected to receive a grant of 250 euros from the Workspace Community Fund. The Workspace Group is a social enterprise based in Northern Ireland: www.theworkspacegroup.org. 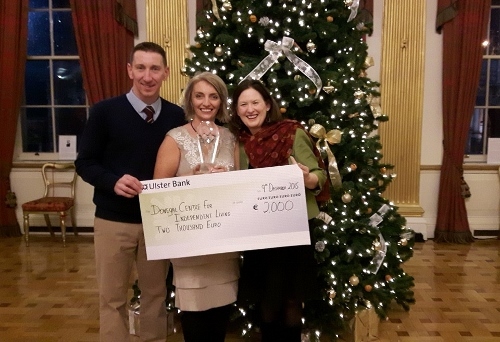 Their enterprise model operates a range of commercial businesses, the surpluses from which are used for community purposes primarily in their local area Draperstown, Northern Ireland. 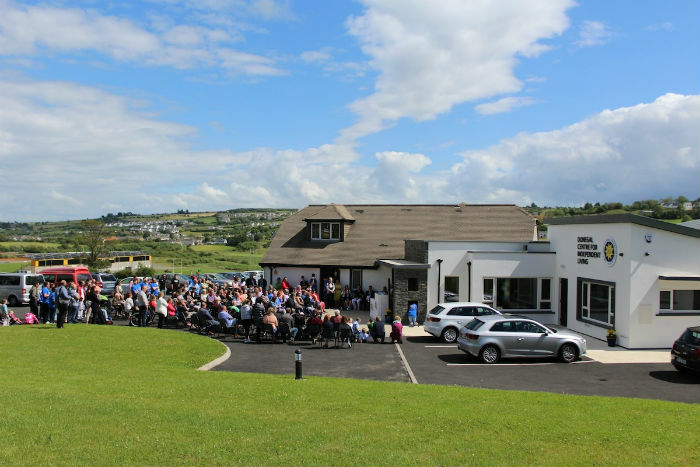 However, one of the community initiatives of the Workspace Community Fund is to offer the Workspace Community Fund to a small number of community groups in areas where they have business interests such as Network Recruitment on the Port Road in Letterkenny. 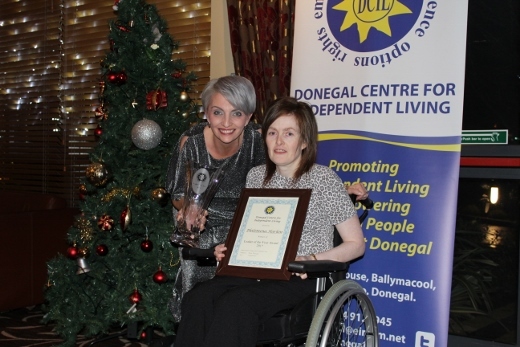 Donegal Centre for Independent Living was one of such organisations to receive an award in the Letterkenny area. Workspace have asked that the grant be used towards a project in the Letterkenny area that will help support local people as they move towards employment or develop their skills. DCIL hope to put this money towards the development of a one day Introductory Level Computer course with a focus on emailing, accessing social media and internet explorer. Richard Alcorn visited on 9th March 2017 Transition Year Students from Ballyshannon School. If you are interested School Disability Awarness Programme please visit our site School Disability Awareness Programme and call us on 074 912 8945 for more information. 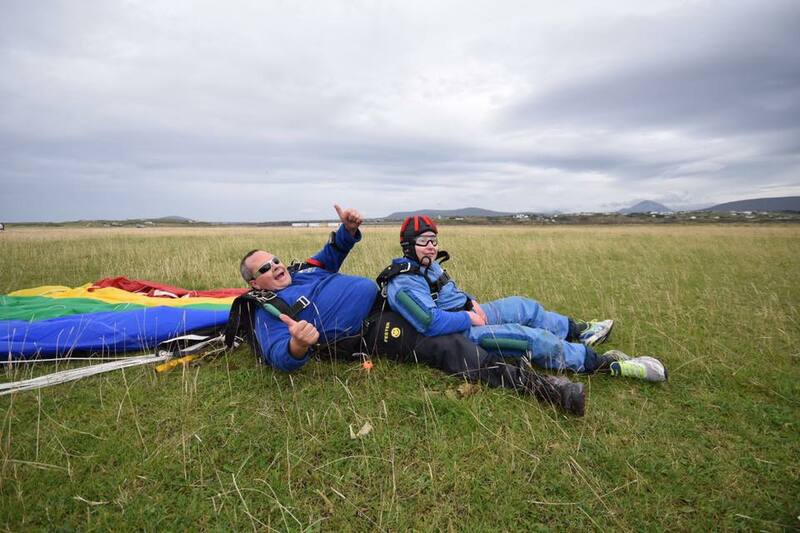 Our Skydive took place on Friday 2nd and Saturday 3rd September at Donegal Airport, Kincasslagh. 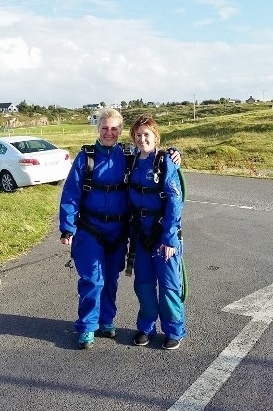 DCIL would like to thank and congratulate all Jumpers who completed their Parachute Jump. This was a unique event with many of our Leaders with disabilities and PAs. For us this also was a fantastic way of highlighting our ethos of empowerment and equality for all. Leader Daniel Mc Brearty happily landed. 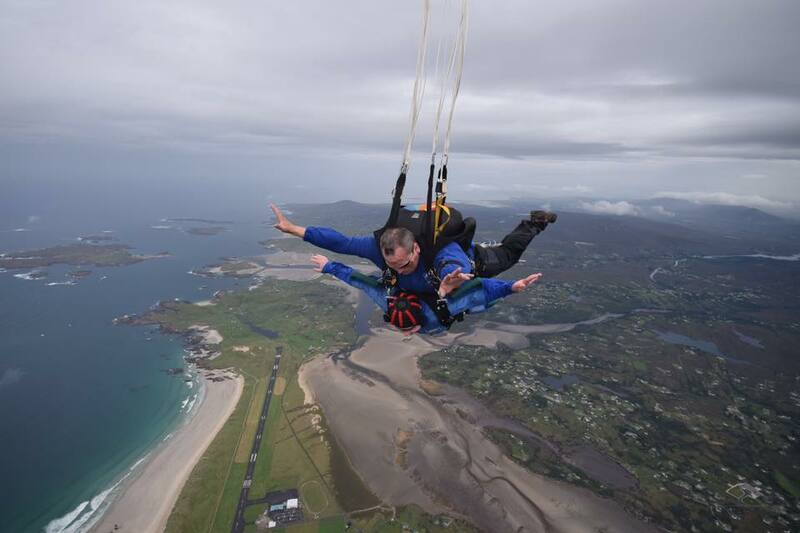 Daniel Mc Brearty in the plane. 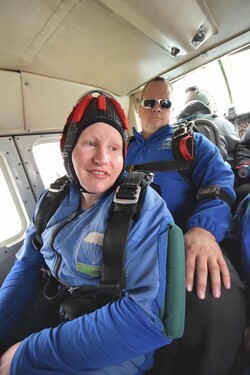 Christina Rodgers and her tandem jumper. Leader Daniel Mc Brearty performs his jump. 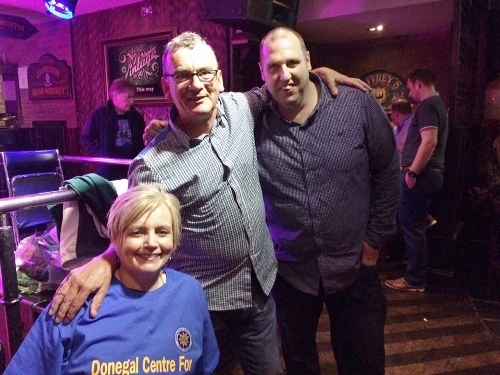 DCIL would like to thank everyone who supported our fundraising event in Voodoo on Sunday evening 31st July 2016, especially those who bought tickets and donated prizes. A special thanks to Martin Orr and The Honky Tonk Heroes for providing the music and entertainment also Voodoo Venue Letterkenny for assisting on the night. 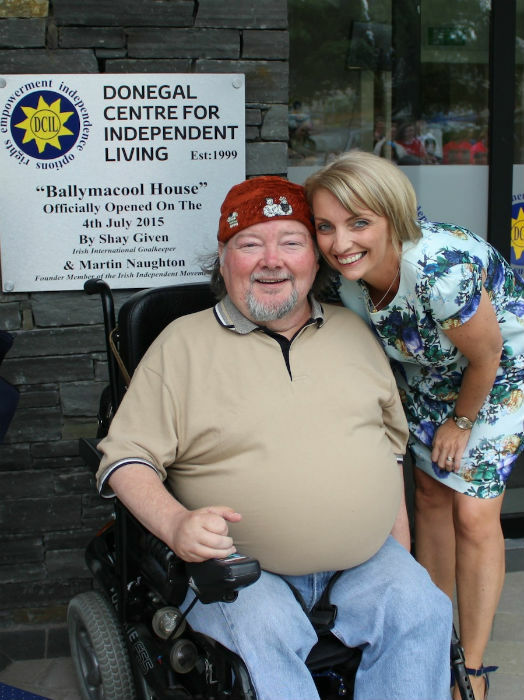 On May 5th, 2016 DCIL celebrated the 3rd European Day of Independent Living and raised awareness of the Independent Living ethos and philosophy. We celebrated this Day by releasing balloons and having cards with positive affirmations related to Independent Living. The event took place on the pitch (behind An Danlann) at LYIT grounds from 1:30pm until 2:30pm on the day. Since 2014 the European Network on Independent Living (ENIL), along with its members and supporters, celebrate Independent Living and its philosophy on May 5th - the European Day for Independent Living. DCIL staff together with PA, Leaders and their families grabbed this opportunity to raise awareness on Independent Living and inform people about our initiatives, demand that our human rights are respected - always, by everyone and everywhere. To see more photos from the event please go to our gallery! 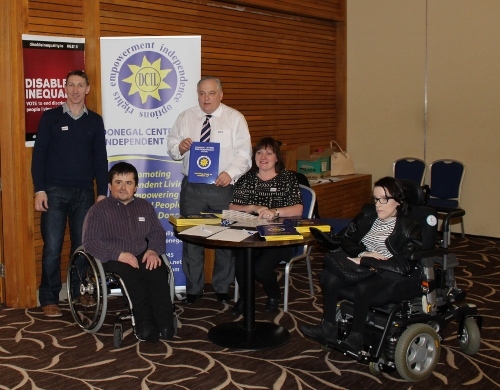 On Wednesday 17th of February 2016 at 2 - 4.15pm in the Radisson Blu Hotel in Letterkenny Donegal Centre for Independent Living arranged a public Q & A meeting with Election 2016 Candidates. People with disabilities and their families had an opportunity to come together and highlight their main priorities for Election 2016. 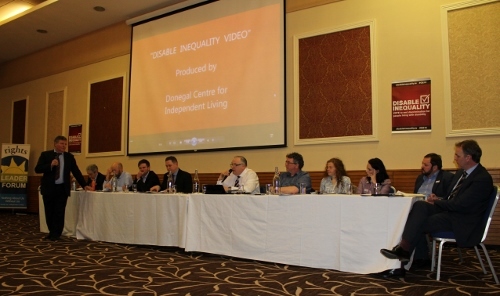 This public meeting was hosted by DCIL as part of the Disable Inequality Campaign. 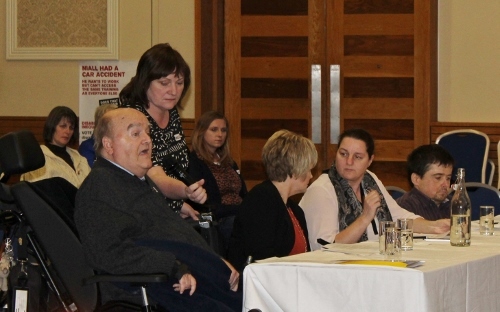 It provided an opportunity for a wider group of organisations, individuals and their families with disabilities to have their voices heard pre-election. We invited all election candidates to explain to us what they will do in the forthcoming government to eradicate the inequality of the treatment suffered at the hands of the state. Question 1: How do we know that you will effectively represent us and prioritise our rights in legislation, to ensure we treated as equal citizens within society? Question 2: Give that the Assisted Decision - making (Capacity) Bill 2013 has been enacted will we now finally see the ratification of the UN Convention on the Rights of Person with Disabilities Should you be elected? Question 3: I want to work but I need some extra assistance. In Ireland this in not provided by government, whereas if I lived 20 minutes away in Northern Ireland, support would be provided to both myself and the employer? Is this fair to me or any potential employer? If elected, what will you to do address this inequality? Question 4: On behalf of many PA Service Users/ Leaders who cannot be here today doe to cuts in their PA services I ask you: does this seem fair to you and how do you plan to address this; and how can you assure us that disability services are being effectively allocated when 11 years after the introduction of the Disability Act not one adult has received a formal independent assessment of need? Almost 600,000 people - that`s one in eight of us - are living with a disability. Two in three of us know of an immediate family member, a friend or a neighbour living with a disability. Election 2016 gives us the chance to change this. To change future. People with disabilities want to make a meaningful contribution to the development and renewal of our country. But we need everyone`s support to achieve our potential. In Election 2016, we are asking you to vote for candidates who are committed to taking positive action on disability issues. 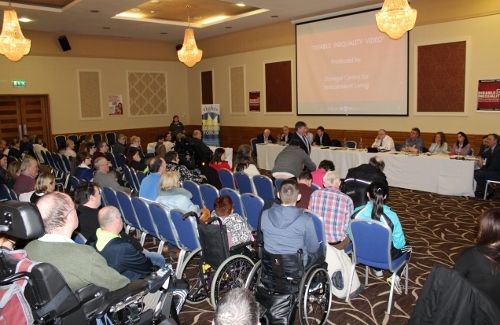 If we want to build a better, more equal Ireland for everyone, disability must be a defining issue in Election 2016. One vote at a time, we will disable inequality. 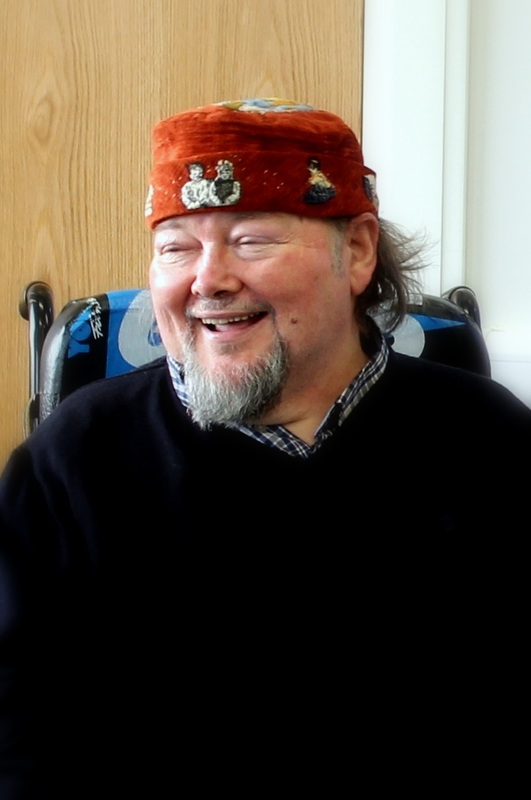 Disability increases with age; this means that it will be an issue that many of us will live with, either personally or as carers, at some stage in our lives. The last eight years of recession have had a disproportionate and brutal impact on people with disabilities who are now among the poorest and most excluded in the country. Disable Inequality is a campaign by the Disability Federation of Ireland. Launched by the DFI, the campaign aims to make Ireland a fairer place to live and ensure disability is a priority in the new Programme for Government.In the coming weeks, Disable Inequality will be collecting stories of inequality from people all over Ireland. These personal accounts will be gathered as evidence to show political leaders that it is time to end discrimination against people living with a disability. With General Election 2016 fast approaching, now is the time for people with disabilities and their families to get active on issues that affect them. 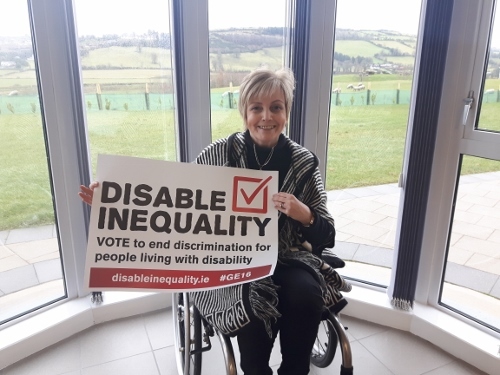 As a member organisation of Disability Federation of Ireland (DFI) - Donegal Centre for Independent Living (DCIL) are encouraging our members to support and get involved with their election campaign, Disable Inequality. The campaign is all about YOU, and YOUR story of living with a disability. DFI want the voices of people with disabilities to be heard nationwide in the various debates around the 2016 General election. This is not only because 1 in 8 Irish people have a disability but, more importantly, because they are deeply affected by so many of the issues at the heart of political debate. Election 2016 is an opportunity to create a fairer and more inclusive society where people with disabilities are treated on par with other Irish citizens. 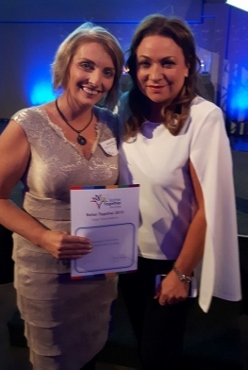 Donegal Centre for Indepedent Living have been announced as winner at the Better Together Awards Ceremony in Dublin Castle on Wednesday 9th December. 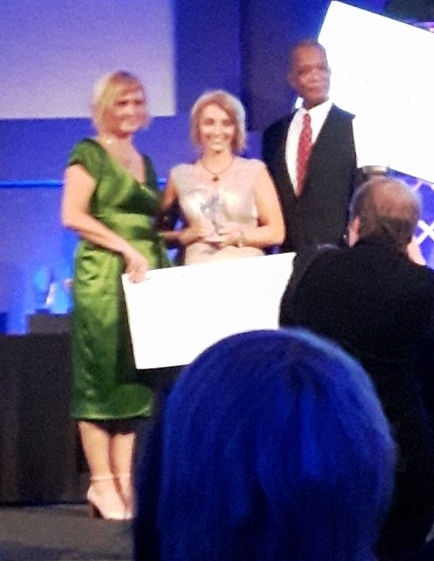 We won the Better Together 2015 Large Organisations Awards!!! 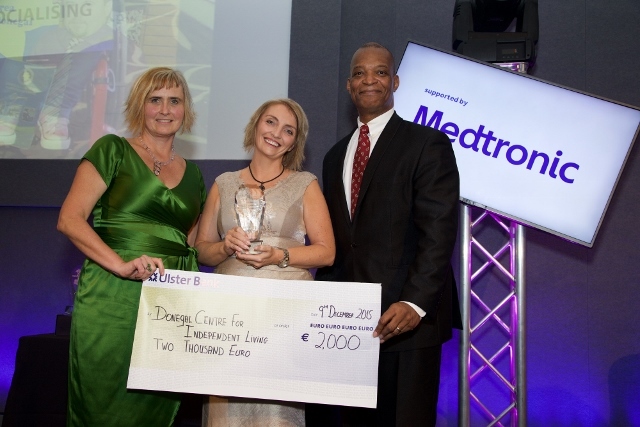 Thank you to dr Jacob A Gayle and Nora Casey from Medtronic. 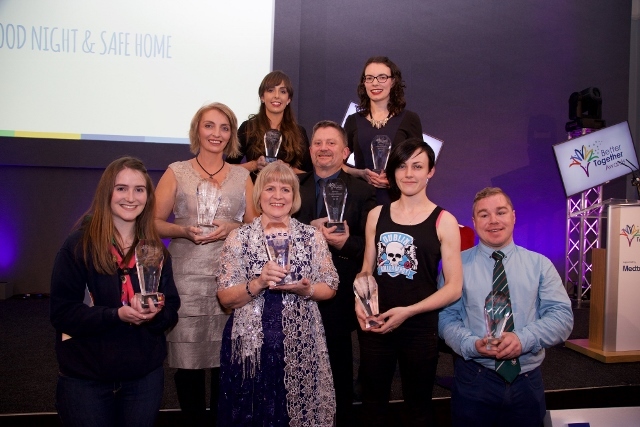 Better Together 2015 Video Competition Winners. The official opening went very well here at our new premises in Ballymacool. It was held on Saturday 4th July 2015 and the weather was absolutely perfect! We were delighted with the turnout of people who came to support us on the day. 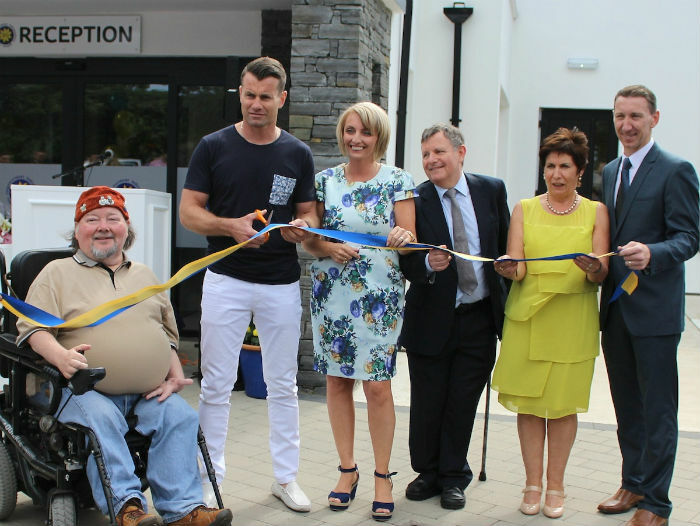 Shay Given and Martin Naughton officiated proceedings and delivered fantastic speeches, as did Paul Fagan and our Manager Rosaleen Bradley. The day had a fantastic atmosphere, with many bringing their families. It was a brilliant opportunity for everyone to catch up and mingle. 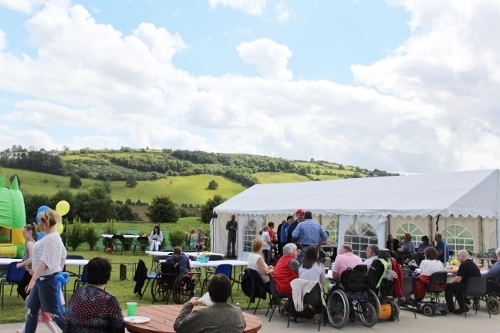 Everyone enjoyed the delicious food from our BBQ, whilst listening to the wonderful live traditional music and the bouncing castle proved very popular with the children! 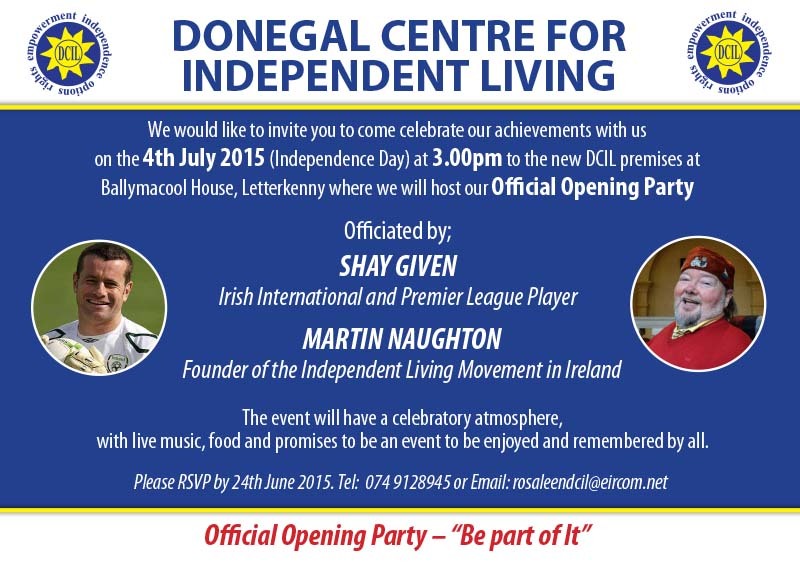 We are very excited to be holding the official opening of our new premises in Ballymacool, on Saturday 4th July 2015. We're very proud of how far we've come, throughout the years and are therefore having a celebration of our achievements and looking forward to a bright future, in our fantastic new building. 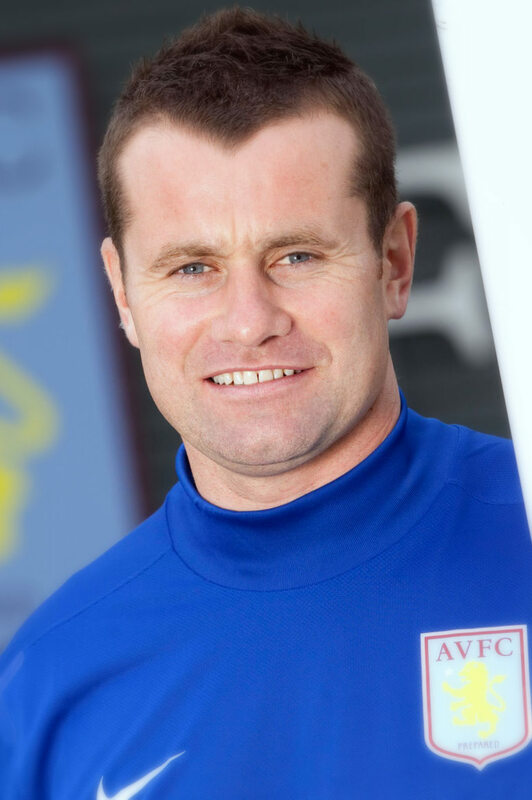 The day will be kicking off at 3pm, with the opening being officiated by soccer star; Shay Given and disability activist and founder of the Centre of Independent Living movement in Ireland; Martin Naughton. There will be a party atmosphere with family entertainment, food and music. It will be a fantastic opportunity for all our Leaders, PA's, families and supporters to come together and celebrate with us. We look forward to seeing you there. Check here New Jobs in County Donegal and Letterkenny. Owen McGirr new application Say It! is for people who suffer from Cerebral Palsy and have difficulty communicating due to disability. See our new course. IT and Technology Training to Leaders and PA.
Donegal Centre For Independent Living CLG & copy 2010 All Rights Reserved.